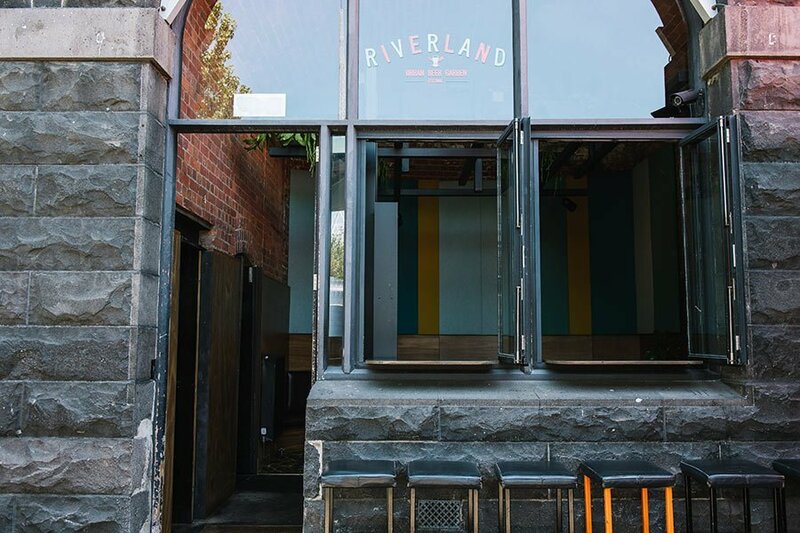 Riverland Bar is one of Melbourne’s most iconic waterfront venues. 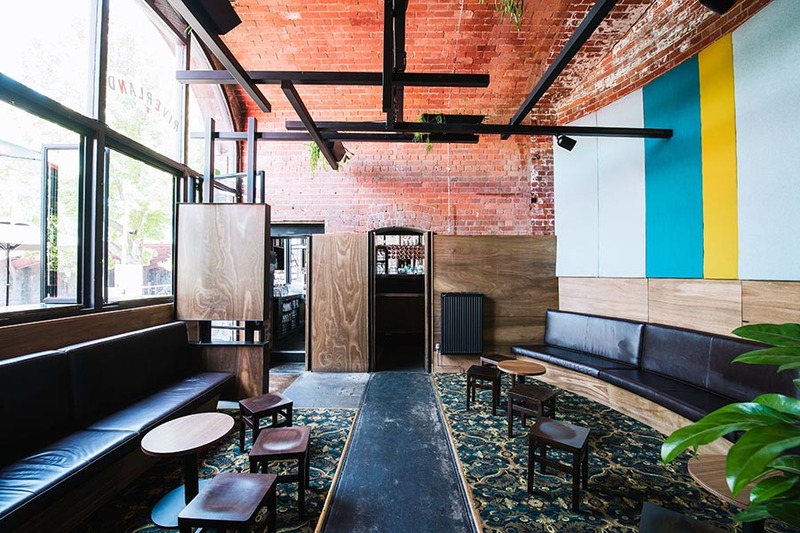 This heritage listed venue is situated in the heart of Melbourne’s CBD, on the banks of the Yarra River. 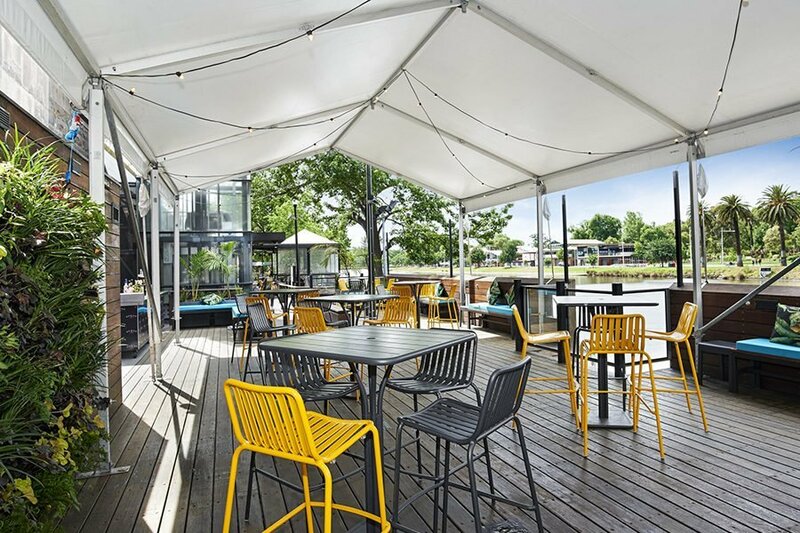 Riverland Bar has a versatile range of outdoor and indoor spaces, perfect for corporate and social functions. 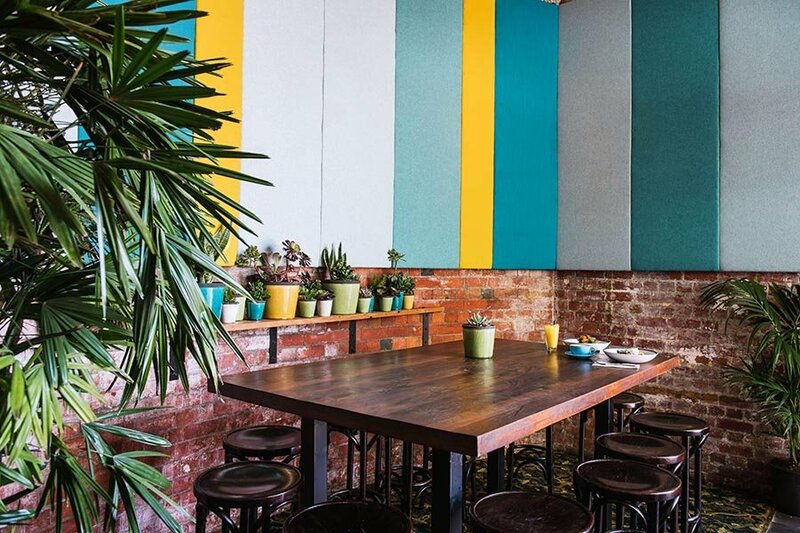 Riverland Bar has a range of catering options to suit every occasion. Fantastic multi-bite substantial canapés, a casual self-service BBQ station and a networking breakfast buffet are available to meet the needs of your next event. Beverage packages have been expertly selected to satisfy an array of tastes with a range of wine varieties accompanied by a boutique beer selection. 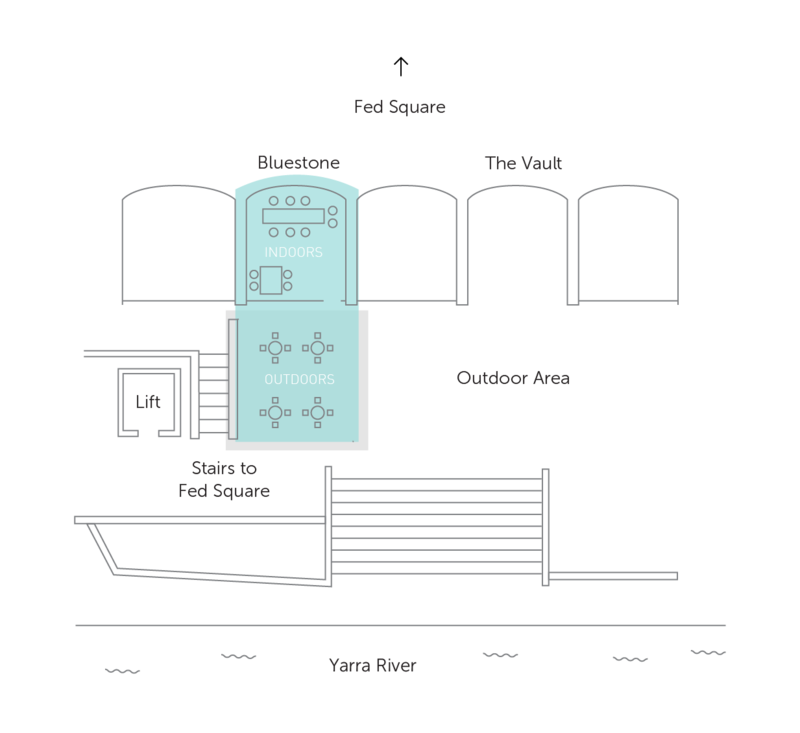 The Vault is our sole exclusive indoor space, situated in the middle of the venue and between two of our main bars. 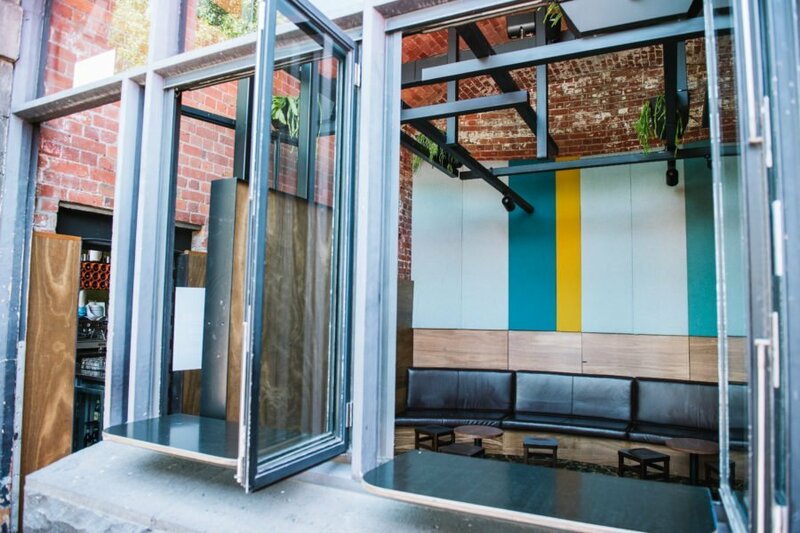 The wall of glass windows enable the space to be private yet involved in the busy atmosphere generated outside. 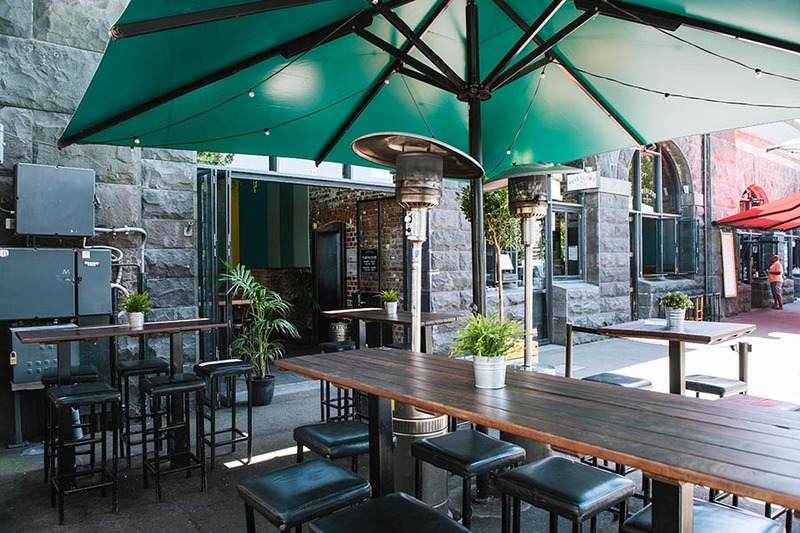 Historic bluestone walls frame leather booth seating, softening carpet, tea light candles and splashes of greenery. Indoor space, leather banquette couches, low-rise stools, side tables, private entry, feature plants, house music ceiling and feature lighting, indoor gas heating, glass bi-folding windows. 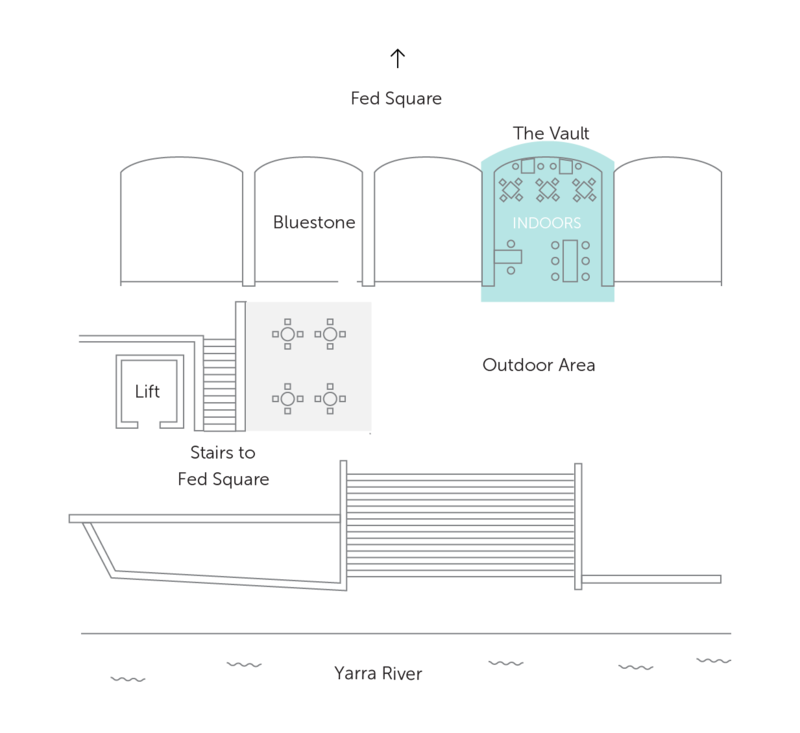 Bluestone is a semi-private function area spanning an indoor and outdoor floorplan. 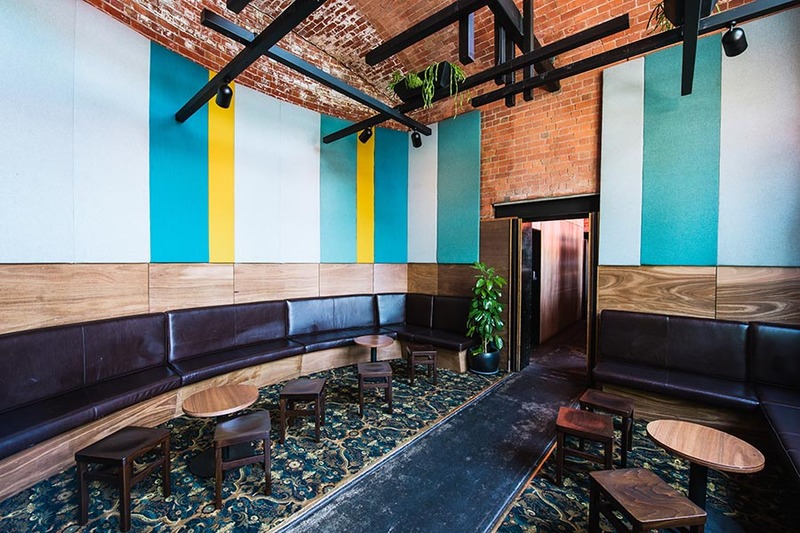 The historical décor boasts fresh greenery and calming industrial chic finishes. 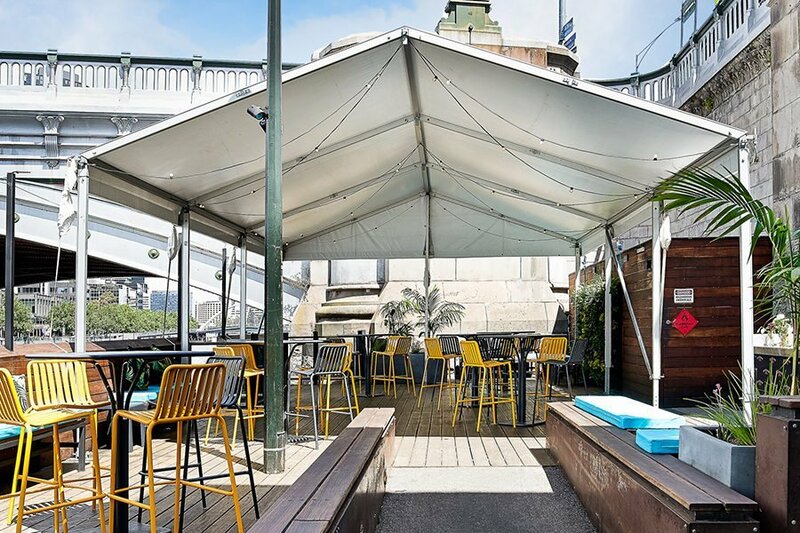 Interchangeable high tables, retractable glass doors and gas heating provides a flexible and relaxed set-up ensuring comfort no matter the weather. Semi-private riverfront location, heritage listed boatshed views, bluestone walls, feature pot plants, high tables and stools, house music, fairy-lit umbrellas outside, ceiling and feature lighting inside, bi-fold doors to enclose inside and gas heaters and umbrella outside. 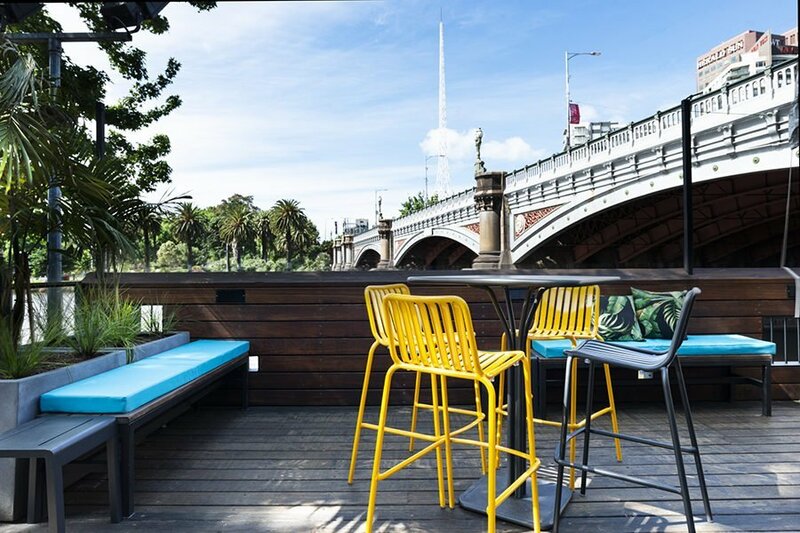 The Private Deck at Riverland Bar is an exclusive premium outdoor function space nestled alongside the Princes Bridge. 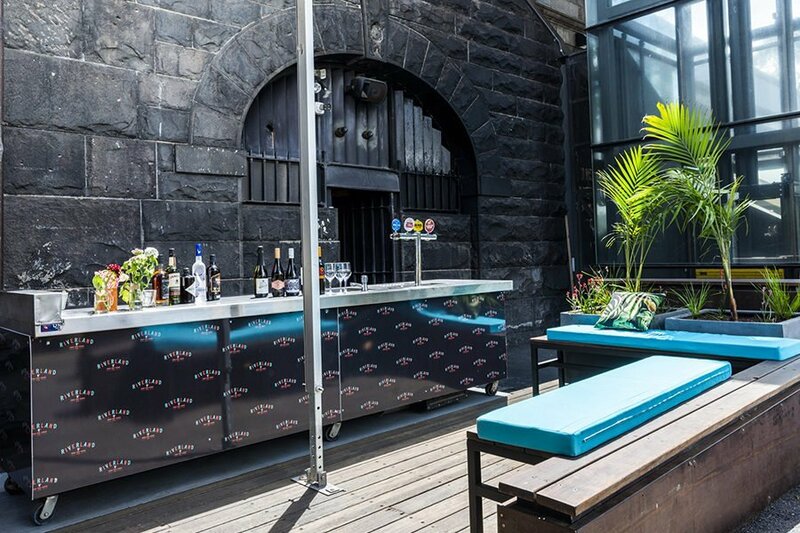 Its bluestone walls complement the iconic backdrop of Arts Centre Melbourne, the Southbank precinct and heritage listed boatsheds. 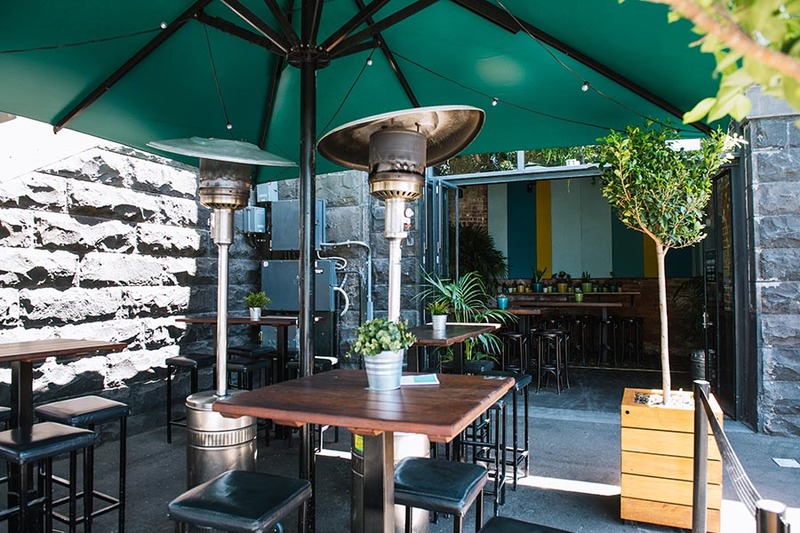 The space provides the perfect location for private function guests to casually enjoy the sun in summer or bask under the heaters and fairy-lit umbrellas in winter. 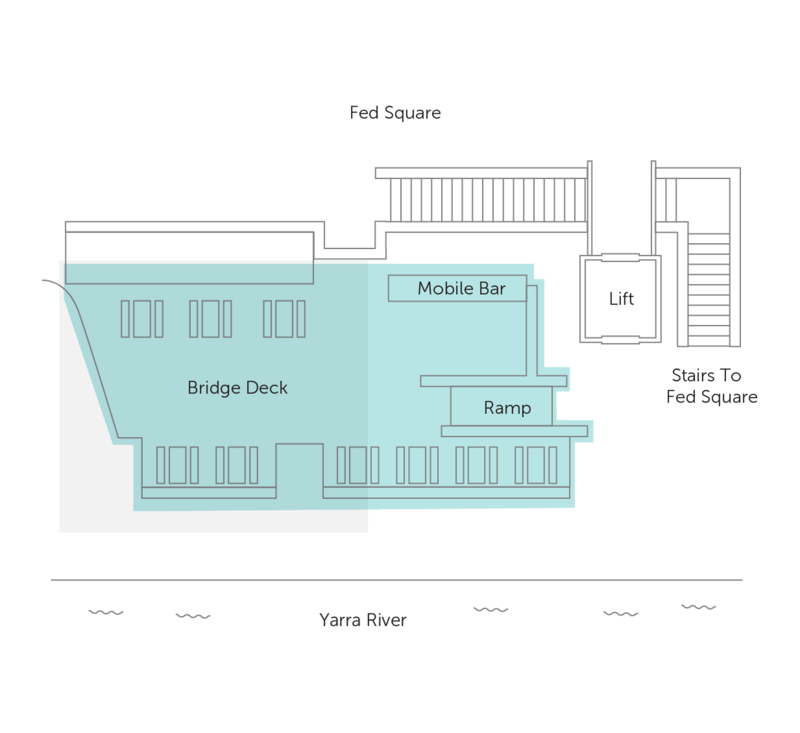 The Private Deck comes complete with an optional mobile bar and dedicated bartender to ensure speedy and convenient service delivery.